Are your air ducts dirty? Do you have allergies? Are you sneezing from all the dust that is circulating through your home? Do you dust off your home's surfaces only to find that a new layer of dust has already resettled every time you turn on your heating/cooling system? Do you really know what you are breathing? Dirty air ducts are not only contain contaminants and allergens, but also obstruct air flow and decrease the performance of your air ventilation system. For the air duct cleaning process, we utilize the patented Rotobrush vacuum. The Rotobrush is a portable hepa vacuum which is brought in to the home during service. The unit has a 45ft long vacuum hose with a rotating brush attached to the end which allows for brushing and vacuuming to be performed simultaneously. The process involves opening each individual heating/air conditioning outlet in the home. We then feed the brush/vacuum router in to the duct until it makes its way to the furnace. All dust and debris that is brushed off is then immediately vacuumed into a self contained dual hepa filtered chamber. This ensures that no dust re-enters the home or becomes airborne. We complete the cleaning process by cleaning out the furnace unit's fan and motor to ensure that the entire system is dust free. Q: Does the rotobrush damage the ducts? A: No, the rotobrush utilizes a soft bristle brush which is sturdy enough to dust and sweep off the inner lining of the duct system while being gentle enough for all duct materials (including soft flex duct). Q: How long does the service take? A: The average household takes about approximately 2.5hours to complete. Q: How does your service compare to the coupon mailers I get for a $50 air duct cleaning? A: We get this question a lot. First difference, we do things right. Most companies that offer a $50 service coupon for air duct cleaning are known to use it as a way to get in the door for an up-sale (sell you additional items that may not be required). For $50, they provide you with a process called negative pressure cleaning. This simply means that they use a large truck mounted vacuum for their "cleaning process". They connect the vacuum hose to one duct and explain that the entire system is now under negative pressure (air is now being pulled inward where air normally comes out in each room). The problem is that this process only utilizes air flow for its cleaning. 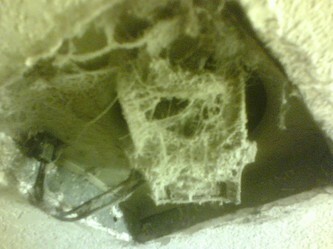 All the contaminants which are stuck on to the duct lining require agitation to be completely removed. From research, on average, these companies that offer a $50 coupon spend a whole 30 minutes in your home for their cleaning. Our process is done correctly and takes a minimum of 2.5 hours to complete. We open each and every heating vent. We do not only use airflow for our cleaning, we use a brush and vacuum process. Purchasing a new home does not mean that your air ducts are clean. The air systems in new homes can be contaminated with construction debris such as sawdust, grout, drywall and tile. If you have recently done construction to your home, consider our services today and don't take a chance with what you are breathing! -Remove air borne contaminants and breathe better! Warning: Don't fall for other companies that claim they are cleaning your ducts with just a high powered blower/vacuum! Dust must be brushed off to come off!!! *As preventative maintenance, air ducts should be cleaned once every two to three years depending on use to ensure that the air you are breathing is dust free. Are your bathroom exhaust vents dusty? Do they seem to just not work anymore? Do the odors take a long time to be fanned out? 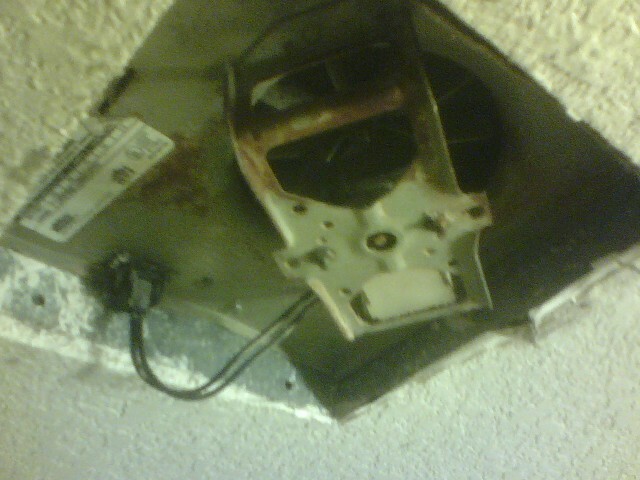 Chances are that the fan and motor are covered with dust which are not allowing it to vent properly. 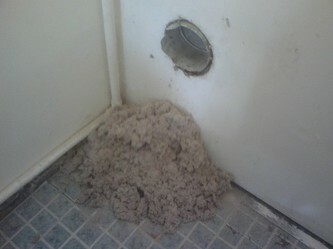 Is your dryer duct dirty and clogged with lint? Does your dryer take more than one cycle to dry a single load of clothes or simply not dry at all? Don't let this headache go on any longer! 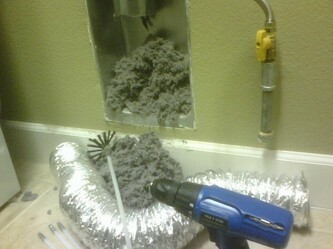 Before you spend $500-$1,000 on a brand new dryer, try cleaning your dryer vent and save $money$! House Fires: According to the Consumer Product Safety Commission, over 15,000 homes fires each year are caused by dryer vents with a build up of lint and debris. Did you know that the main cause to poor dryer performance is due to heavy lint build up inside the dryer exhaust duct? Dirty dryer ducts can obstruct and restrict the air flow of your dryer and create negative back pressure which can make your dryer work too hard. This can cause your dryer to burn out the motor and heating element, which is not only costly to repair but also a potential fire hazard! 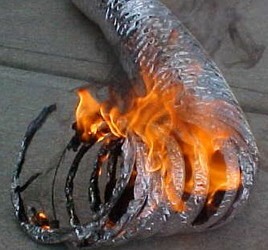 All of the lint trapped inside your dryer duct is an accident waiting to happen as it can easily catch on fire! 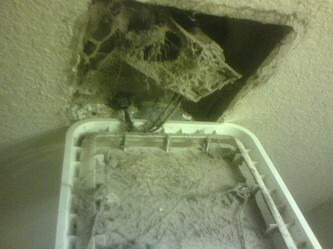 *As preventative maintenance, dryer vents should be cleaned at least once every two years to ensure proper function. The best way to tell if you have waited too long is when your clothes are still moist after a typical dry cycle. Call now for a free estimate!!! *Conveniently Located in the Bay and serving your Area!